The VHT 412CEL speaker cabinet is a classic straight-front design. The cab is built from high-quality all-birch plywood with an airtight sealed jack plate (no air leaks = maximum leading-edge attack) and is loaded with four 12” Celestion Vintage 30 16-ohm speakers. The 4x12 cabinet features a stereo/mono switch for either 4- or 16- ohm mono operation or 8-ohms per side stereo operation. In stereo mode, the jacks are configured with isolated ground paths to prevent ground issues with multi-amp setups. Whether you're looking for a solidly built classic 4x12 with airtight sealing for extra punch and attack, or a unique vintage-flavored voice with more spatial spread, VHT has the cab for you. If you have any questions about this product by VHT, contact us by completing and submitting the form below. If you are looking for a specif part number, please include it with your message. 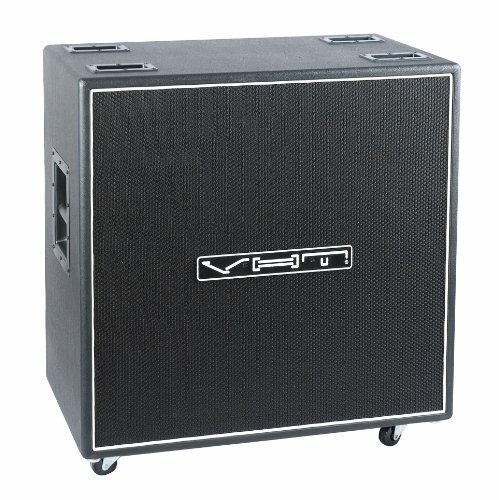 Blackstar ID412B Straight Cab, 4 x 12"